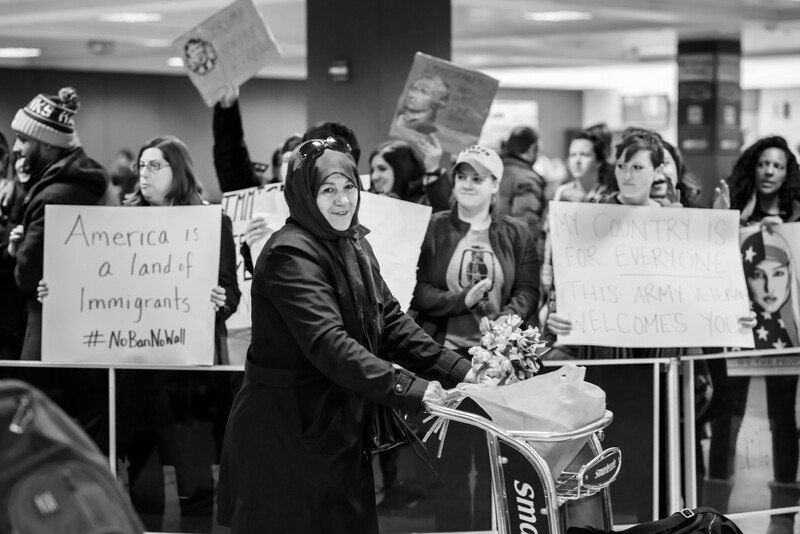 As leaders who have spent our careers pioneering innovative solutions for many of our nation’s and the world’s most entrenched challenges, we write to express our unequivocal disagreement with your Executive Order issued on January 27, 2017, which banned individuals from seven majority-Muslim countries from entering the United States. We believe the order violates one of America’s most closely-held values to block entry to a targeted minority, whether comprised of temporary visitors, immigrants, or refugees. This is especially true for those who live on the edge of survival in war zones and refugee camps and have waited for years to call this great country their new home. Groups like ours exist to help lift up the poorest and most marginalized with innovative solutions. In our opinion, this ban will make our work to foster peace, sustainability, opportunity and inclusiveness much harder. This action has unfortunately intensified fear, bigotry, and division in communities across our nation and the world, giving our organizations still more challenges to overcome. It has also decreased trust of Americans as we travel — it conveys that America is a country that no longer values diversity but operates from a place of prejudice. You have expressed skepticism about the government’s abilities to solve problems alone, so we hope you will listen to the voices of those of us who lead organizations on the front lines of social change each and every day, using business best practices and often partnering with government. We respectfully request, Mr. President, that you do not deny us the right of welcoming people, regardless of their religion or nationality, to our shores. We must continue to communicate the values of inclusiveness and opportunity for all, values that our nation has always worked hard to live and to model. George Srour, Building Tomorrow, Inc.
Karen Young, Sweet Readers, Inc.
Sophie Young, Sweet Readers, Inc.
We invite leaders in the social entrepreneurship space to add their names to this letter in response to the ban on immigration in the US. Founders, Co-Founders, CEOs, Executive Directors, Presidents only please. Sign on to add your name here.